We were woken up this morning by our landlord banging on the door telling us to turn on our water so the pipes didn't freeze - the power was out. It was only out for a few hours, which normally wouldn't be that bad, except that it was -16 outside. Yep. By the time we took Ryan to school around 10, it had warmed up to a balmy -3. So we are spending our days inside and snuggled up. Which has it's benefits. I've been organizing and crafting for the past week, which lead me to make this project. 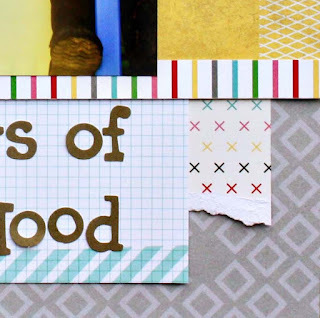 I loved this layout by April Foster at Studio Calico, and wanted to use Noah outline stamps. While I was organizing all my scrapbook stuff, I came across an entire pack of Prima resist canvas butterflies. I bought these last year sometime, and the ended up buried in a box. Combining the two, I came up with this wall decor for Zoe's room, since it's now a butterfly theme. I put it in a 12x12 shadowbox frame and it's now hanging on her wall. 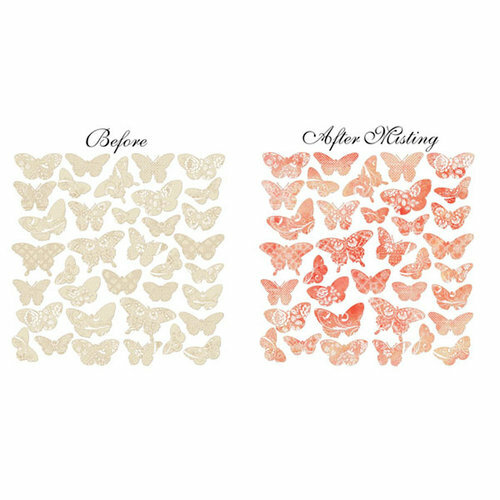 I used a TON of different mist colors, but instead of spraying them directly, I sprayed a bit on wax paper and watered them down a bit, and "painted" the butterflies with a Q-tip. It took a few hours, but I really like the result. 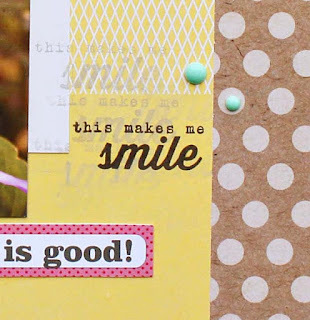 I've also got some sneaks of some Elle's Studio projects, using her BRAND NEW patterned papers. I've been waiting forever it feels like for Elle to put out 12x12 papers, and I couldn't be more excited about the new lines. You can see the full lines on the Elle's Studio Blog. Oh wow, I love how you did your layout! Just beautiful! Love the butterfly shadow of! Great idea! Holly, LOVE your layout! That sounds freezing, eek!! PS=We should totally go to CHA together one year. How fun would that be?